Although DISC Personality Styles have been around and used in the workplace for years, there may still be misconceptions about this increasingly popular method for understanding and predicting behavioral tendencies. Over 50 million people have taken DISC tests in every language over the past 40 years, so it would stand to reason that a few fallacies have taken hold, which it is now time to debunk. Myth #1 – William Moulton Marston came up with the first DISC assessment. Wrong. While Marston began the original research on DISC while developing his book, The Emotions of Normal People in 1928, the first DISC assessment did not appear until much later. Today, PeopleKeys has one of the most accurate and highly validated DISC in publication, with over 95% of participants saying the assessment very accurately measured their responses. Myth #2 – People are the same style in all environments. Wrong. The same person can be very different from environment to environment. This has been proven by profiling millions of people in various environmental frameworks. The demands of the environment will cause a person to expend more or less energy on the primary behavioral dimensions of dominance, influence, stability, and conscientiousness. In fact, PeopleKeys did an international study of personalities in the workplace and at home, and discovered people often vary greatly in different environments. While only about 3% of people in the home environment are D Styles, in the workplace, all styles experience an increase of their D dimension by almost 15% because of demands of the typical job environment. And S Style behavioral dimensions go down in the workplace from 69% to about 50%. Both the I and C tend to increase depending on the specific job role requirements. It’s perfectly normal to respond differently to different environments and just proves that people are good at adapting! Myth #3 – D Style people are all insensitive. Wrong. To illustrate this, think of the lion with the thorn in its paw. If you are brave enough to go and help them with their problem by providing a solution, they may be your friend for life. High D Style people sometimes present a tough outer shell to protect a sensitive inner being. While it may take time to get beneath that tough exterior, just remember not to judge them unfairly. They really appreciate when you approach them with solutions, not just your problems. Don’t overwhelm them with information, just give the bottom line. They will ask you for more information if they need it. Myth #4 – S Style people are all pushovers. Wrong. In fact, S Style people are very capable of leading, deciding and may be the best style for managing others. Using the analogy of the Lion and Lioness, in the presence of the Lion (D Style) the Lioness (S Style), although capable, won’t take the lead. However, in all aspects, the Lioness is entirely capable of hunting, fighting, eating and taking care of her young, and will be fierce If her young are attacked. Although the S Style person won’t exert him or herself when D’s are around, in their own right, they can be mighty powerful, proficient, and skilled in business and at home. It goes against the S Style, behaviorally, to appear powerful or individualistic. They are often hands-on leaders, team players, patient, accommodating, and don’t mind supporting the D and I Styles in their unconstrained approaches. The S Style’s humility has always been a great compliment to the D Style’s ego, and it’s a good thing as it maintains homeostasis. 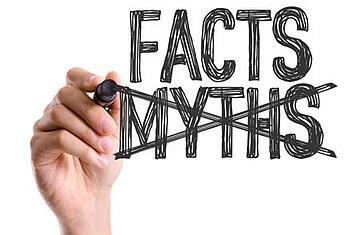 Myth #5 – DISC is not a legal hiring tool. Wrong. DISC is the premier tool in companies and organizations worldwide to assess a good behavioral fit. It is used to filter, manage and hire in both small businesses and large companies with an extensive HR presence. It is the only psychometric evaluation that is entirely EEOC compliant and legally defensible as a hiring tool. That’s because 1) The DISC assessment is self-administered, which means that it doesn’t require a clinical psychologist to evaluate the user. Instead, the user is evaluated by him/herself only 2) DISC deals with observable behavior, not “emotional” behavior 3) DISC focuses upon the user’s behavioral strengths and capitalizing on those strengths. All styles have different and equal strengths. DISC is actually the perfect tool to determine if a candidate will match the needs of both the job and the corporate culture. It is also a perfect tool to increase job fulfillment, productivity and retention. The next time you have a job opening, invite your candidate to take the 3D Hiring Report and see why DISC is the best tool to get instant insight on your candidates. Learn more about DISC by becoming Certified in DISC Behavioral Analysis. Learn more about the 3D Hiring Report by taking the TEAMS and Values Course so that you can unlock the awareness in this profoundly insightful report.